LONDON • Little is being left to chance: The choice of sauces to go with the appetisers, the size of the chocolates served after dinner and the selection of wines and mineral water to go with the meals have all been agreed upon, after months of painstaking diplomatic negotiations. And, even if judged by the very high standards of royal protocol for which the British are famous, the grand welcome which will be lavished on Chinese President Xi Jinping, who arrives in London today for a state visit, is extraordinary. The leader of the world's largest communist party will spend no fewer than four nights at Buckingham Palace and Windsor Castle, as a personal guest of Queen Elizabeth II. He will need sunglasses if he wishes to avoid being blinded by the dazzling sparkle of diamonds and emeralds worn by members of the British nobility attending the string of state banquets. Mr Xi will probably also need some good ear plugs to protect him from the trumpets, fanfares and gun salutes which will greet him wherever he goes. The extraordinary deference given to the Chinese head of state is understandable. For this is not just a normal state visit but the crowning moment in a spectacular diplomatic development: Britain is now China's top European ally, a country not only eager to kowtow to China, but also keen for others to notice that it is kneeling and bowing to Beijing as deeply as possible, and on almost every occasion. Britain's key allies are watching this development with a mixture of amazement and apprehension. Yet all the British are doing is what they have always done well: Embrace the inevitable, and pretend to be enjoying it. As late as two years ago, relations between Britain and China oscillated between occasional indifference and persistent contempt. 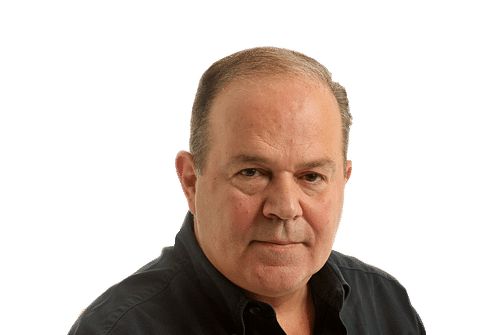 History and its symbols refused to go away: When British Premier David Cameron first went to Beijing on an official visit in 2011, his Chinese hosts objected to the fact that he was wearing a red poppy flower on his lapel - something the British do each year in memory of the war dead - but a flower which reminds the Chinese of Britain's notorious Opium Wars during the 19th century. More recent disputes over the management of Hong Kong, a British colony returned to China in 1997, also rankled. But the biggest stumbling block to bilateral relations was the fact that, in economic terms, Britain and China were not compatible. China's main economic interest in Europe was in the machine-building industries and other high manufacturing technologies, sectors in which Germany held the lead. And the areas in which Britain has a distinct advantage - chiefly financial sectors such as banking or insurance services - were precisely the sectors where China did not allow free trade. All this has now been reversed, partly because the Chinese are now interested in exporting capital and are therefore keen consumers of British financial services, but also because Britain is the most open market in Europe, affording Chinese construction and utility companies unique opportunities to get the sort of mega-infrastructure projects that Beijing likes. Trade between the two sides rose by 15 per cent last year, and is likely to do even better this year. Britain is China's second-largest European trading partner after Germany and the second-largest foreign investor in China after Singapore. The financial sector is doing even better. A staggering two-thirds of all the Chinese investment into Europe now flows via London. During his visit this week, Mr Xi is likely to sign a deal making London the first centre outside China in which yuan-denominated Chinese government bonds will be issued; that will cement London's position as the world's largest foreign- exchange dealing centre, bigger than New York and Tokyo combined. Far bigger opportunities beckon. The United Kingdom has brushed aside security concerns and allowed Huawei, a leading Chinese communications firm, to establish its research outfit in Britain. A £11.8 billion (S$25.2 billion) high-speed rail contract could also be awarded to Chinese companies this week. And China is about to be given its first contract to build a nuclear station in a Western nation: a plant at Hinkley Point, on the south-west English coast, in partnership with French utility EDF. Yet the most spectacular realignment has been in the political arena. There was a time when Britain used to lecture other European nations about the danger of treating China as just a big market, without taking account of the strategic implications of China's growth. All such homilies have gone, and Britain is now China's top advocate in Western political circles. It was Britain which stunned the United States when it announced earlier this year that it had decided to become a founding member of the China-backed Asian Infrastructure Investment Bank (AIIB). The decision was explained with a variety of purely technical arguments, but the basic fact remains that Britain's defiance of US wishes was unprecedented, and it led to a stampede of other Western countries joining the AIIB. Britain is also now campaigning for China to join the International Energy Agency (IEA), a group of rich countries tasked with managing energy supplies, despite the fact that China appears unwilling to accept the governing principle of the IEA, which is that member-states pledge to use their strategic reserves of oil and gas to help other member-states at times of shortages. 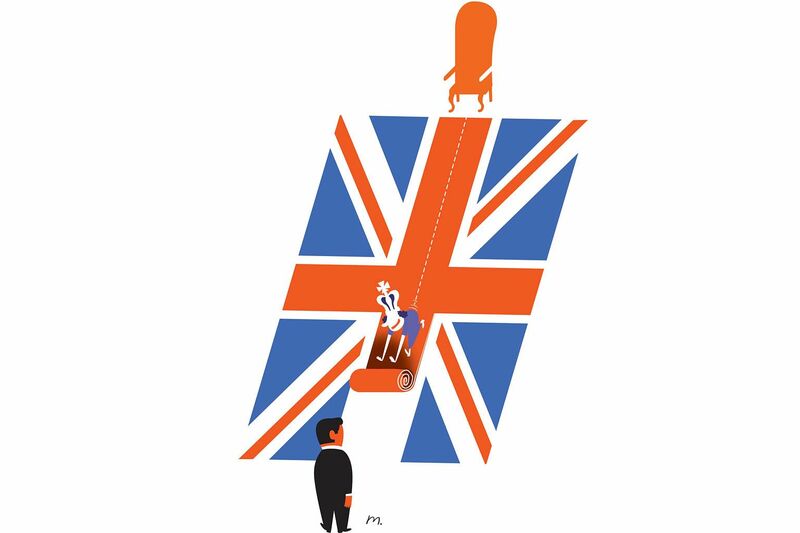 Blooming relations with China are also seeping into Britain's domestic policies. For the sharp tilt to Beijing is largely engineered by Mr George Osborne, the country's finance minister, who hopes to inherit the prime ministership from Mr Cameron as early as 2018. Mr Osborne has made China his key objective; he seems happier spending time as a guest of the Chinese than sitting behind his desk in London. And British officials are falling over themselves in inventing new words of praise for their budding love affair. This is a "golden time" for bilateral relations, said Prime Minister Cameron. "A golden era" is the term finance minister Osborne prefers. And now, officials in the British government even talk about a "golden decade". Yet behind all this flummery, there is a serious strategy. For Britain accepts that China's rise to global status is inevitable and, as British officials privately put it, if Britain ensured that it remained at the top table of world powers by forging a special relationship with the US during the 20th century, it will safeguard the same position by being close to the country which will dominate the 21st century, namely China. All very logical, one may argue. Still, not a risk-free strategy. First, Britain is in danger of exaggerating its importance. It is not very obvious why, even if it nurtures friendly relations with London, China should listen to what Britain has to say; relations will never be as close as those between Britain and the US, where history and language tended to unite, rather than divide, the partners. Second, the British government's tactic of demonstrably breaking off with the US and siding with China risks the longstanding security and intelligence cooperation with the US on which the British military largely depends. And, while Britain may boost its room for manoeuvre with China, it may lose out with other Asian powers. Japanese Prime Minister Shinzo Abe, who believed he had forged a personal bond with his British counterpart and looked upon Britain as Japan's key European ally, is now deeply disappointed. And diplomats from all other Asian countries are constantly baffled by the extent of this British "pivot" to China. Officials in London are right to dismiss many Asian expressions of concern as contradictory: Asians used to complain that Britain didn't pay enough attention to China, and now they complain that London is spending too much time on China. Still, Britain should not be surprised that its ardently pro-Chinese policies will not be well-received elsewhere in Asia. And the British are also discovering that, however hard they try, earning China's trust takes a long time. According to media reports, President Xi will be bringing his own mineral water to London. Because, apparently, Chinese food safety controls are better than those in Britain.